Is The Environment Doomed Once Republicans Take Congress? First, a question: Have the last two years, with Obama in the White House and Democrats running Congress, really been that great for environmental policy? It depends how you look at it. There was that debacle in the Gulf, which obviously wasn't handled well. Then the Senate failed to pass a climate bill, and the Copenhagen talks dragged along without much resolution. But it hasn't been all grime and tar: Obama's Environmental Protection Agency (EPA) is ratcheting up fuel-economy standards and knuckling down on air pollutants from coal-fired plants—including greenhouse gases. And the stimulus kicked in $80 billion for clean-energy and efficiency projects, which was a hefty sum by historical standards. The knives come out for the EPA. Right now, Lisa Jackson's EPA is the country's last defense against endlessly rising carbon emissions. Thanks to a 2007 Supreme Court decision, the agency is supposed to start regulating greenhouse gases as soon as next year. That's not a perfect substitute for cap-and-trade—realistically, agency officials estimate they could only cut emissions 5 percent below 2005 levels by 2020—but it's a start. (Here's my primer on what EPA action would entail.) What's more, the EPA is unfurling a number of rules on pollutants like sulfur-dioxide and nitrogen-dioxide, all of which could force utilities to shut down their oldest, dirtiest coal plants in the coming years. That is, unless Republicans can stop the EPA. And they'll certainly try. 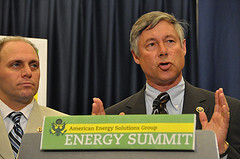 Yesterday, the likely head of the House energy committee, Fred Upton, wrote an op-ed in The Washington Times declaring war on the new pollution rules. For one, Republicans will try to pass resolutions stripping the EPA of its authority over greenhouse gases; Kit Bond, for one, has promised to attach just such a rider to every new bill that moves through the Senate. Granted, Obama can veto these bills—and, as Jon Chait points out, he's in a good position to win p.r. battles over the environment, just as Bill Clinton did in 1995. But this will come up again and again. Slashing green budgets. If House Republicans can't neuter the EPA directly, they can always try a sneakier, less overt approach—mucking with the budget. Back in 1995, Newt Gingrich's crew managed to slash EPA funding by 25 percent, forcing the agency to cut back on inspections and criminal enforcement. And those budget cuts can have a big effect on policy: That same year, the GOP also managed to block funding necessary to enforce the Clinton administration's new fuel-economy rules. Expect similar fights over the Interior and Transportation budgets. Chaining Lisa Jackson to the witness stand. The other option is to make Lisa Jackson's life a living hell. Republicans have already promised to drag her in for hearings as often as possible once they control the congressional committees—Frank Lucas, the ranking GOP member of the House agricultural committee, has said he expects EPA oversight hearings once a week. “It will diminish her free time, shall we say,” one former energy staffer told Politico. Endless "Climategate" puffery. In the House, we still don't know what fate awaits Nancy Pelosi's special global warming committee—which Ed Markey mainly used to hold hearings on arcane energy issues and to take members on climate-related educational trips (visit the melting glaciers, etc.) Upton wants to disband it. But the panel's ranking Republican, Jim Sensenbrenner, has suggested he might want to use it to "investigate" the science of climate change. And the new head of the House oversight committee, Darrell Issa, wants to launch yet more inquiries into those Climategate emails in an attempt to prove some sort of scientific conspiracy—even though plenty of independent reviews have concluded that there's nothing there. By the way, this is one reason I'm not quite as sanguine as Dave Roberts about climate skepticism simply fading away. True, most Americans aren't on board with climate denialism. But conservatives will now have a megaphone for amplifying every last pseudo-scandal. For a good template, look back to 2006, when Joe Barton led an inquiry into the "hockey stick" temperature graphs. Did Barton reveal anything interesting about paleoclimatology? Not particularly. (The critics made a few helpful suggestions on statistical methods, but subsequent studies ended up confirming Michael Mann's work.) Yet Barton helped vilify an entire field and fostered a generation of keyboard jockeys obsessed with proving that the hockey stick is a fraud. Possible compromise legislation? Okay, this might get filed under "wishful thinking," but it's not totally impossible that some useful bipartisan energy legislation could emerge from the next two years. 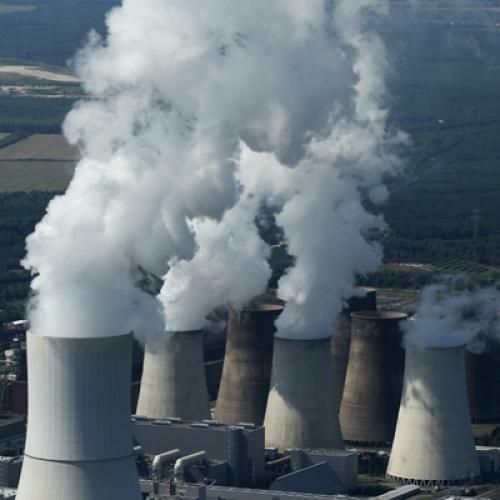 For instance, Indiana Republican Richard Lugar has put forward a proposal to reduce carbon emissions by giving utilities incentives to retire coal plants early. Lindsey Graham is a fan. So is Lisa Murkowski. Lugar's plan has a number of glaring flaws in it—see my summary here—but it's potentially fixable. Who knows? Recently, Obama told Rolling Stone that he'd like to see clean-energy legislation move "in chunks" next year. That seems like wishful thinking. For instance, the Breakthrough Institute recently sketched out a proposal for $25 billion per year in R&D for low-carbon energy. Presumably this would be an easier sell than pricing carbon. Except that the last time Republicans controlled Congress, they repeatedly slashed funding for renewables and efficiency (and that was back when we were talking about piddling dollar amounts). And, with climate deniers filling the GOP ranks, it's hard to see this dynamic changing. Sure, funding for battery research and new appliance standards may sound sensible, but if it's all to address a problem the base doesn't even think exists, then why bother?